It has been a while! My deepest apologies but don’t worry I won’t bore you with excuses I’m here today to give you the best Black Friday deals that I’ve been able to find! Now I know that Black Friday can be very materialistic so heed my warning; if you don’t need it, don’t buy it. No matter how good a deal is, that doesn’t mean that you HAVE to buy it. Let’s not get ourselves into financial debt for materialistic goods. However saying that, if you do fancy treating yourself whilst the deals are on then you’ve come to the right place! I want to start with my favourite deals this Black Friday then as you scroll down you’ll see a summary for the best Disney related deals, then Fashion and then Shoe deals. I personally didn’t find that many beauty deals but what I did find I included in my favourites as its such a good one! I hope you enjoy reading my finds and that my little post can help take the panic out of this Cyber Weekend! 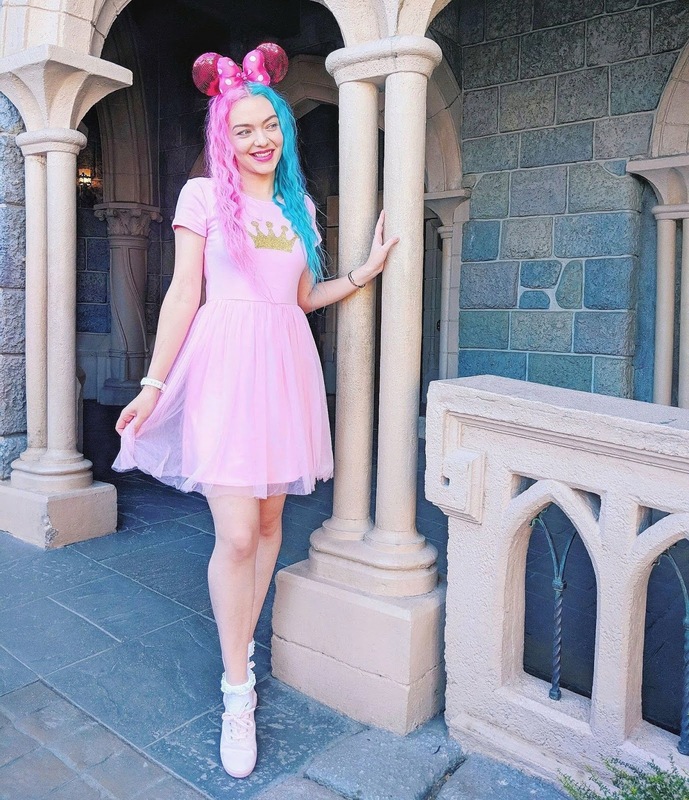 Shop Disney UK – Shop Disney (the online store for Disney Store) seriously stepped up their game when they added in collaboration brands on their site as well as a lot more for adults including Fashion and homeware. Their deals this Cyber Weekend start TODAY and last till Monday (deals vary over time). Their deals include up to 50% thousands of items including toys, fashion homeware, stationary. You’ll be hard pressed to find anything on their site not on offer! Definitely a major player for my bank account this Cyber Weekend! 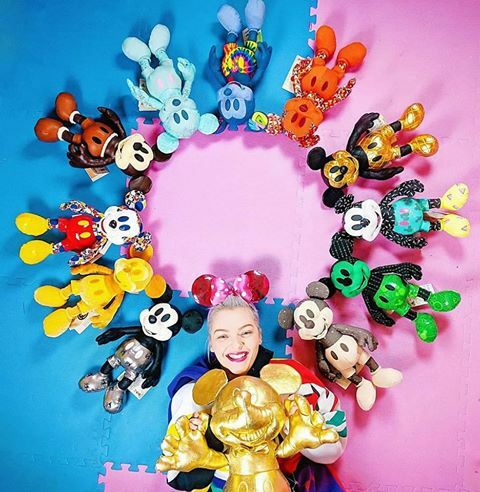 Even the Mickey 90 gold mickey is included! I Saw It First – Use code CYBER50 – This fashion store isn’t playing around this Cyber Weekend; they have 50% off EVERYTHING!!! No joke! Serious fashion for every style is available on this site and for a very good price! I got THIS green leopard co-ord down to £35 from £70 and now I want it in the red version! Highly recommend! Debenhams – Debenhams have up to 30% off all departments but what really interests me is the beauty discounts. They have huge discounts on two of my favourite make up brands Urban Decay and Kat Von D. If you’ve been wanting to try out any of their products or splurge on a palette then now is the time! Urban Decay’s new Cherry palette is even included in the discount! Kat Von D’s lipsticks are a new favourite of mine; I’ve been wearing her lipstick ‘Zero‘ to match my hair and I can safely say it was money well spent! Plus, it’s now down to £14! In The Style – I’ve really been loving this brand’s collaborations with celebs and bloggers especially Laura Jade Stone’s collection and Sarah Ashcroft’s collection. I especially love THIS dress (shown below) and have even bought it in two colours! It’s also in their sales which include up to 80% off and a free t-shirt with purchases over £30! Princess Rags – Of course I had to mention my own brand! I’ve discounted down many items including my signature dresses! There are also many discounted items due to be discontinued so once they’re gone, they’re gone! You can also get £10 off all jumper and skirt combos (Christmas range and jumper dresses are excluded from this deal). Use code ‘CYBERPRINCESS’ at checkout with any jumper and skirt in your basket! Happy shopping! Pop in a Box – loads of Disney pop discounts including limited edition Stitch Hero pop! Irregular Choice – Doing their own ‘Rainbow Week’ with discounts all week! *Some links are affiliate links. This won’t cost you anymore! Just think of it as a little thank you from you to me for the link! Please see disclaimer for full details. I Hit 10,000 on Instagram!